Before I get started with today's tips, I would love to highlight some facts. On normal instict, Google apps are not supported on Cyanogen roms due to some licensing restrictions, rather, they are pre-installed apps that comes with most android device unlike the google play store, Gmail, Maps and other Google-branded applications. Most times, android users find it difficult to get another playstore installed on their device when the former one gets wiped, but the fact is that, the reason why it doesn't work that way is due to Google branded apps are not supported on cyanogen Rom for installation. Today's stroll, I would brief you on the best tips on how to get Google apps installed on Cyanogen ROMs. 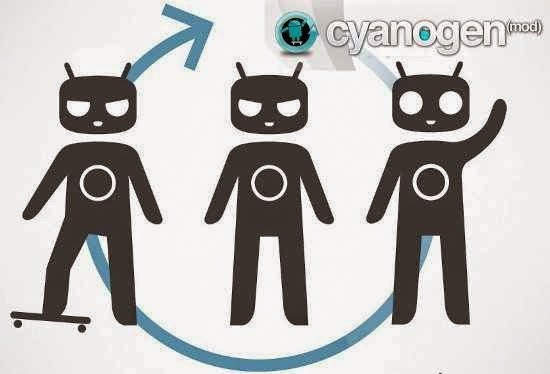 If you're a new android user, or you don't know much about cyanogen roms, I would advice you to read through this tutorial on How to Install Cyanogen ROMs on non-rooted Android Phones. Once that is done, you can then proceeded to the steps mentioned below. For Android Lollipop users that cyanogenmod 12 is supported on, then I recommend you read the updated version of this tutorial on How to Download and Install Google Apps on Cyanogenmod 12 CM12 ROM. Step1: Firstly, Download Google apps package for your android device. NB: The downloaded file would be in .zip format, so don't extract any file from it. Step 2: After download, then with the help of usb, move the downloads gapps zip folder to your android device. Step 3: Once the zip folder is moved successfully to your android device, then switch off your device and wait for about 5 seconds, then boot your device to recovery mode. Step 4: Once your device boots to recovery mode, then on the recovery main menu, tap on the "install zip from Sdcard" or any similar option, then after that, tap on the "Choose zip from Sdcard" option. Step 6: Once the installation process starts, you've to be patience because it would take few mins to complete installation, and you're done. Congratulations, you've successfully known how to install google apps on Cyanogen CM11 ROMs. I would appreciate if you'd like our facebook page here, for our regular updates, and also join our daily email readers to get updated. To join simply Click Here.